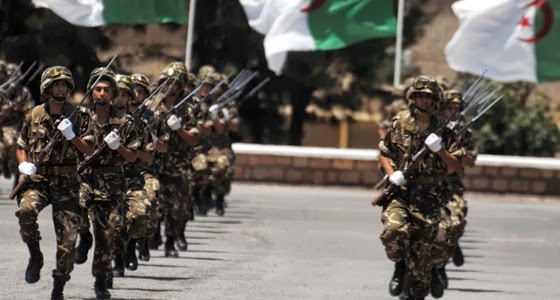 Algerian defense ministry opened thousands of job vacancies for people who took vocational training courses and set August 10th as enrollment deadline. In a new manual, the ministry determined new conditions to join military schools in terms of training for officers and soldiers in land and air forces and the National Gendarmerie. Applicants should be between 18 and 21 and pass the Baccalaureate exams in scientific and technical subjects. Contract officers should be between 18 and 23 and pass the Baccalaureate in arts subjects. Selected applicants in land forces will take three-year-courses to obtain licence degree at the military academy in Cherchel. Selected applicants for the positions of contract officers will take a year-course. Air forces schools opened 3 specialties for officers. They are: pilot officer, aircraft engineer officer and aviation licence. The training courses are taken at the Aviation Supreme School, the Supreme School of Aviation technicians and the military academy in Cherchel. Baccalaureate successful candidates can apply for military medicine provided they have 13/20 score in natural sciences option. Selected applicants will take eight-year-courses at the National school of Military Medecine to obtain military doctor’s certificate and six-year-courses to obtain certificates in chemistry, dental and veterinary surgeries. Applicants who want to take courses at the Supreme School of National Gendarmerie should have a licence degree.